The iPhone X is Apple’s vision of the future of smartphones. The premium, high-end handset features a stunning 5.8-inch Super Retina display that offers phenomenal picture quality when you’re watching your favorite TV show, the latest blockbuster movie or streaming video on YouTube. With its edge-to-edge, ‘notch’ design, you get to enjoy the entire screen and you won’t be distracted by an unattractive bezel. The iPhone X can keep up with you no matter what you ask of it. The A11 Bionic Chip is the most powerful chip ever in a smartphone, offering impressive performance when gaming or switching between multiple apps. The phone’s TrueDepth camera system allows you to capture gorgeous photos and videos, including breathtaking landscapes, professional-looking selfies, and even 4K videos. Want to have fun with your photos? Then the iPhone X Animoji feature (animated, Snapchat-like filters) will let you do that too. And what’s more is that the iPhone X battery life (21 hours of talk time, 60 hours of music play), fast charging, and wireless charging support means that you’ll rarely run out of juice while doing what you love. 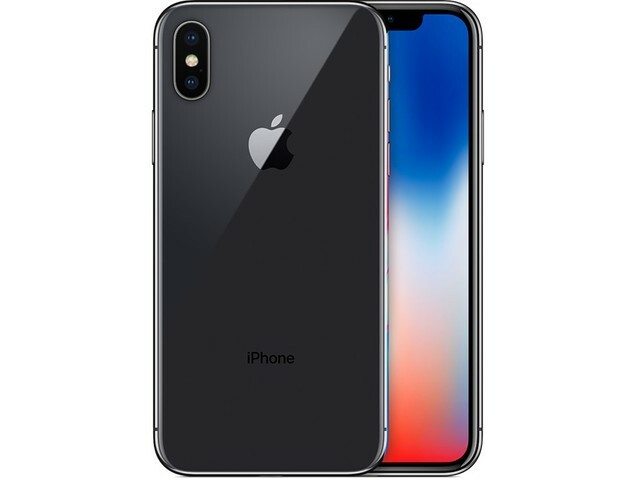 Buy your refurbished iPhone X today to get the premium smartphone you deserve at a price you can afford.